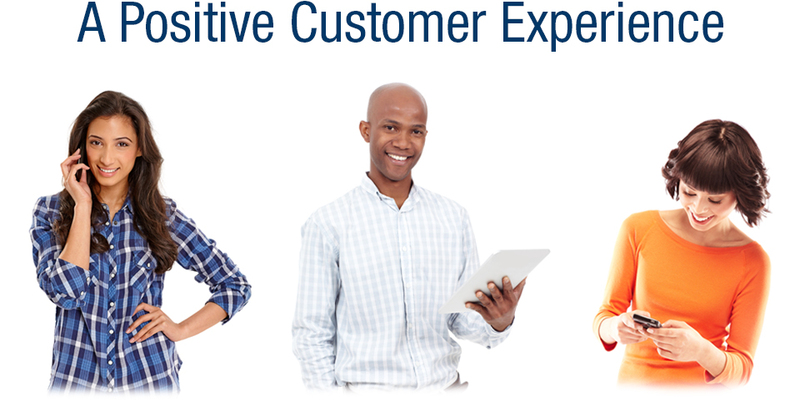 InfiniteKM is a cloud based platform enabling consistent compliant Customer Experience (CX) at all touchpoints through superior Knowledge Management (KM). Customers get the right information at the right time while creating an engaged compliant business and operating model with consistent service delivery. Embedding into existing technologies (Salesforce, Dynamics, SharePoint etc.) the InfiniteKM platform enables Governance, Risk and Compliance to easily cascade throughout the enterprise and ensure your teams are engaged and empowered with the right answers. Premiere organizations rely daily on InfiniteKM to ensure their teams and customers get the right information, up-to-date and relevant, across all channels for improved CX, and better adherence to compliance. They also leverage the platform to strategically drive leadership alignment, build team culture, and increase employee engagement - further improving their ability to deliver great CX. Click each to learn more. IDC Reports state that employees spend 18.5% of their time searching for information and that these searches are successful less than 50% of the time. This means an employee is losing almost a whole day a week. The InfiniteKM Platform will reduce this search time dramatically and provide the necessary analytics to enable further refinement and increase the speed at which information is gathered and distributed. Cost savings on search alone per employee can be as high as $12,000 per employee per year based on an average salary of $75,000. (Source: IDC's Information Worker Productivity Survey). Infinite Media has shown, through deployments of the platform, a 67% decrease in the amount of searching done by employees. This is a result of the role-based organization and presentation of documents and information to each employee. Research shows that it takes 64 seconds after an email interruption for staff to refocus and get back into the work they were doing before the interruption. The InfiniteKM Platform has a wide range of internal communication channels to help maximize the effectiveness and value of internal communications. Using the built in video and presentation tools for communication consumes 80% less time than reading the equivalent ‘All Staff’ emails. With its powerful learning and communications tools, InfiniteKM gets employees up-to-speed quickly, ensuring they adhere to policies and procedures, and delivering great CX. InfiniteKM provides the tools, training, and rewards recognition to support employee engagement and success. In turn, studies show that engaged employees miss less work, perform better, and are more supportive of changes and willing to make them happen. 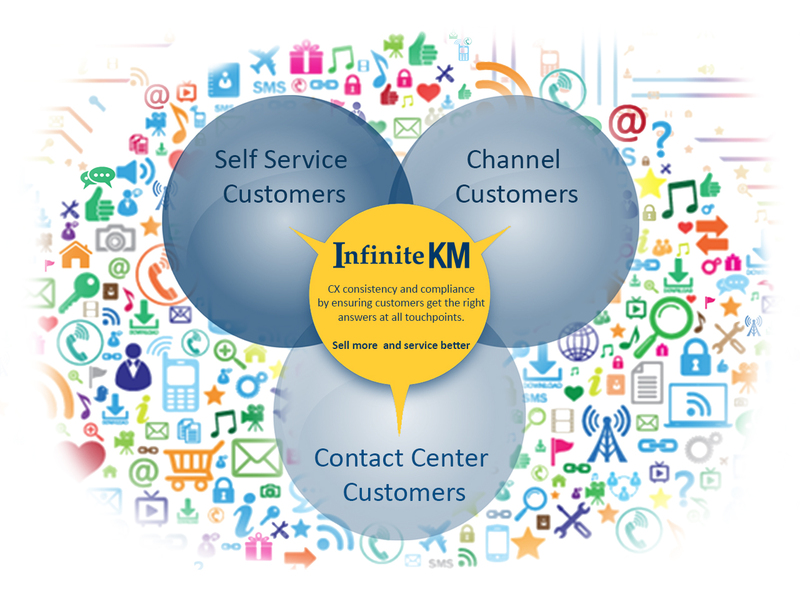 InfiniteKM enables companies to approach the CX challenge holisitcally with an integrated set of tools proven to solve real problems at a cost-effective price. Enables easy and highly configurable real-time organizational architectures to be created and managed – forming the backbone that controls the flow of the information and tools to users. Highly optimized for B2b or B2b2C, the architecture can standalone or integrate into existing technologies, such as portals and ecommerce websites. can accelerate growth and improve your business!